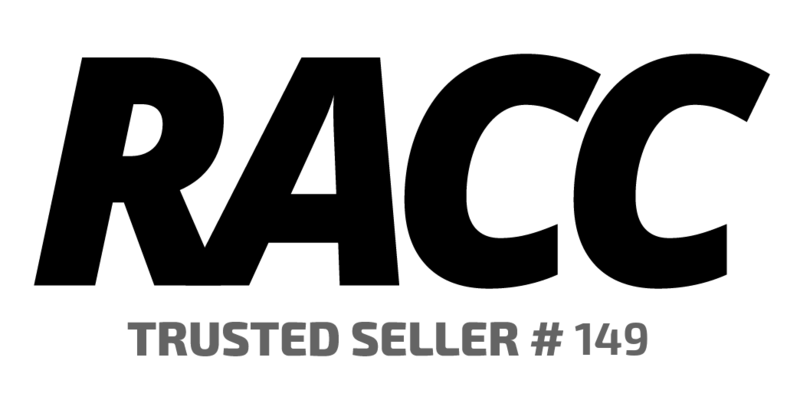 PMG graded 12 (Fine). Please see the images for details on the condition of the bill. 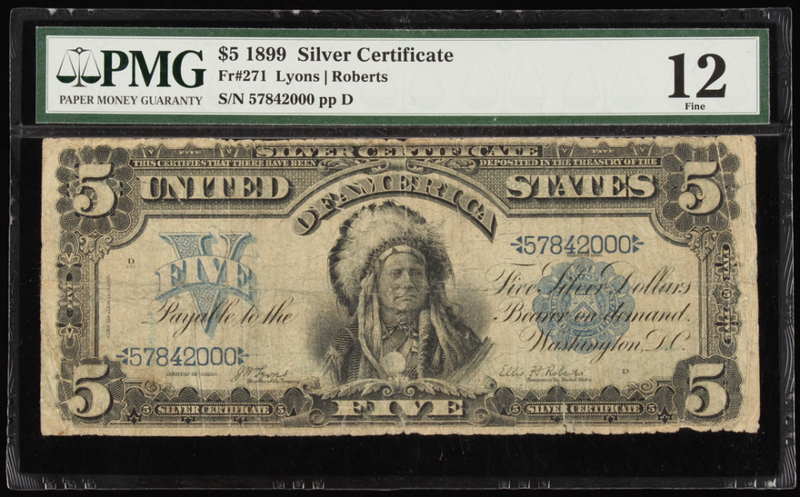 Silver certificates were issued between 1878 and 1964 in the United States as part of its circulation of paper currency. They were produced in response to silver agitation by citizens who were angered by the Fourth Coinage Act, which had effectively placed the United States on a gold standard. The certificates were initially redeemable for their face value of silver dollar coins and later in raw silver bullion. Since 1968 they have been redeemable only in Federal Reserve Notes and are thus obsolete, but still valid legal tender. Large-size silver certificates (1878 to 1923) were issued initially in denominations from $10 to $1,000 (in 1878 and 1880) and in 1886 the $1, $2, and $5 were authorized. In 1928, all United States bank notes were re-designed and the size reduced. 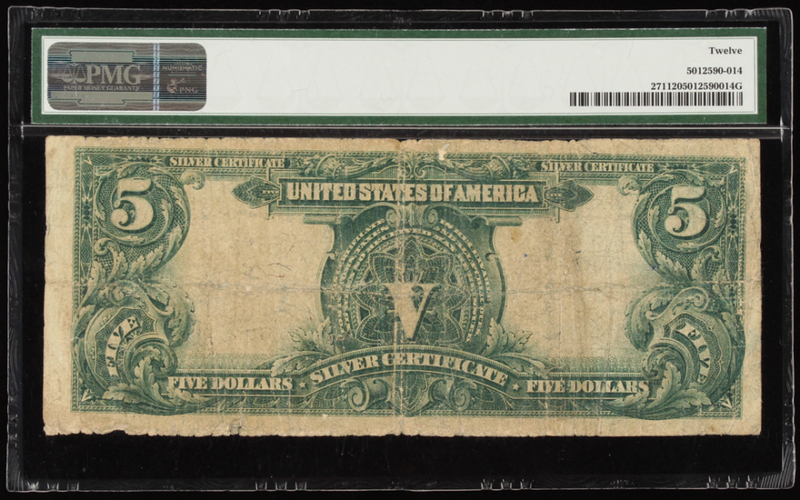 The small-size silver certificate (1928–1964) was only issued in denominations of $1, $5, and $10.